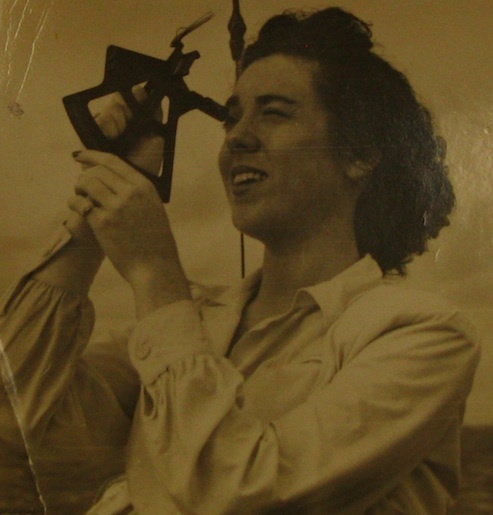 After her mother’s illness, Dorothy Turnbull returned to the University of Miami and finished school there. After school. she came back to New Orleans, and felt like she needed to do something. We had what was called “Sub-Deb Parties.” The Roosevelt Hotel, it’s still going today I think, but it was one of our main features. We had the Hawaiian Room where they had a waterfall and stuff. We had a Sunday afternoon tea dance for the officers that were stationed in the area. And we entertained. That’s what our war contribution (laughs). I decided when I graduated I was going to come back to New Orleans and join the Navy in New Orleans. So that’s what I did. This photograph comes from the collection of Dorothy Turnbull Stewart.